MOVE IN READY! Lovely updated home near Lake Benson. 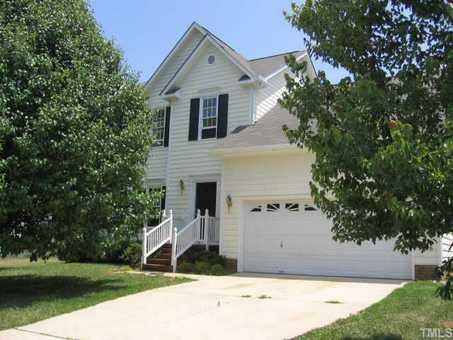 Hardwoods in Foyer,Living, and Dining, Ouartz counter tops, SS GE Appliances, Fresh Paint and more. Vaulted Fam Rm w/FP,Formal Living,Formal Dining, Master Suite w/Vaulted Ceiling,plant shelf, garden tub,sep shower and WIC. Guest Rms w/spacious cls. Many new fixtures and lighting. Expanded Deck for Grilling, large back yard. Interior Features: 9 Ft Ceiling, Attic Pull Down, Cath. Ceil., Ceiling Fan, Bath/Tub, Garden Tub, Tub/Sep Shower, W.i.